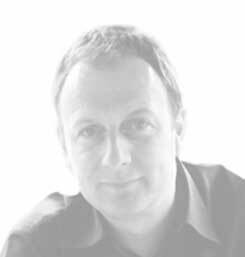 Rob is a founder member of the Clarity team and a trusted adviser and business coach to many clients. His strength lies in his ability to ask the right questions and facilitate change in individuals and their teams. Rob believes in and demonstrates authentic leadership, enabling others to become better communicators and in turn, more successful leaders and managers. His role takes him all over the world, working with different cultures and business sectors. Rob has enjoyed particular success within the pharmaceutical industry - this has grown organically through professional recommendations rather than a particular preference; Rob will be the first to agree that the challenges faced by leaders transcends industries and he is equally at home working in telecoms, IT and retail. Rob is a dynamic, energetic and inspirational speaker; facilitating team meetings for our clients and getting results where stagnation and frustration once lie. He is a highly creative and intuitive individual who traded a music career for a career in performance coaching and training 20 years ago and has never looked back. Previous roles have included presenting a motor sport programme on the Discovery Channel and facilitating global conferences. His personal interest in psychotherapy and Neuro Linguistic Programming brings enormous benefit to the people that he coaches, sharing skills and methodologies, that in turn enable them to be better mentors and leaders to their own teams.